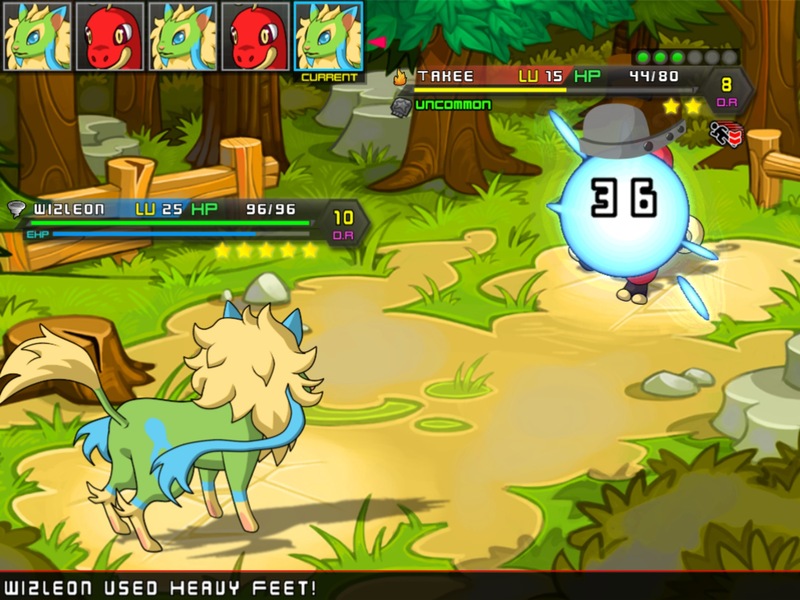 Collect and train adorable and sometimes ferocious monsters in Micromon. Monster collecting games are a dime a dozen on mobile devices, but which ones are worth your time? Micromon is the latest title to jump on the monster training bandwagon, and while it looks as though it's taken all its cues from PokÃ©mon and more popular titles, it's a formidable contender that should tickle the inner monster breeder in you. Micromon is extremely polished, with an impeccable UI, bright colors, and gorgeous graphics that belie a very well put-together game beneath. You're on a quest to collect and train special monsters known as Micromon which definitely take cues from their big brother Pocket Monsters, and the RPG-lite elements that accompany you on your journey are fun and engaging. There's a large variety of Micromon to collect, and each comes with its own unique sets of attacks as well as a look that wouldn't be out of place in any one of the "official" monster collecting sagas. You'll strut from town to town acquiring approvals from each town and its most talented trainers, and by the end of the journey you'll realize that it's beginning to take one or two hits to fell nearly any enemy. Micromon features an addictive blend of strategy and collecting that will propel you to the end. Sometimes, your AI opponents just aren't very intelligent. It's like there's no detection when it comes to hit points and your opponent will randomly use a health potion when it's not needed. In addition, the game isn't as long as you'd expect from the genre. It does become much simpler as you progress instead of challenging, as your Micromon creatures gain levels, and seasoned veterans will find that they've gone and flown through the level much quicker than newbies to the monster collecting scene. Micromon is one of the slickest and best examples of what you can do with this kind of premise, and much closer to the idealized Pokemon games we've all clamored for over the heads. Even if you've had your hands full with other, simpler versions of this classic adventure archetype, go ahead and give Micromon a try as well. Just don't be surprised if you find it a little difficult to find a stopping point here and there.